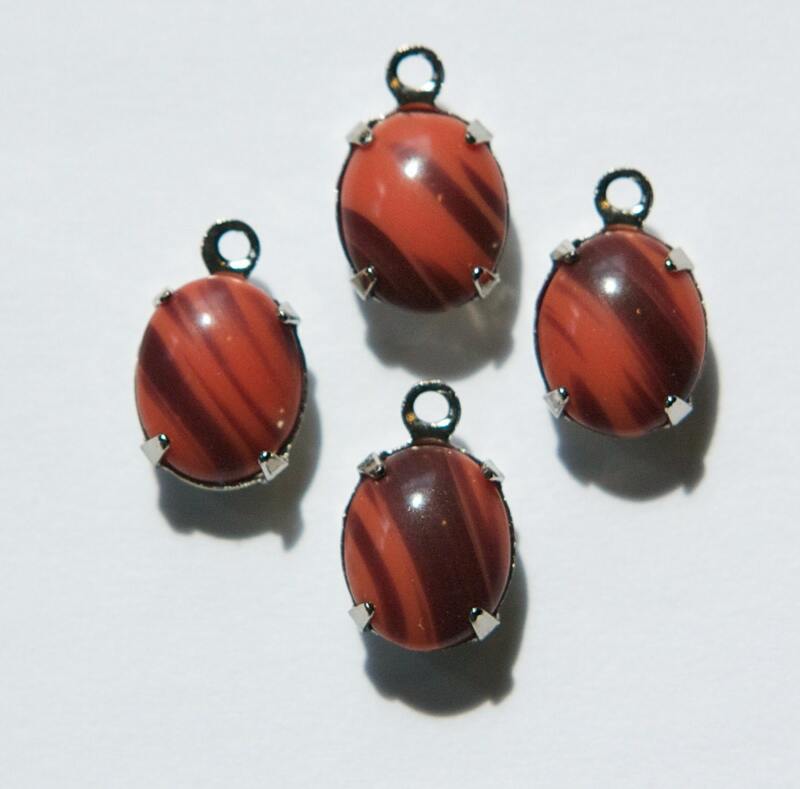 These are vintage glass stones done in an opaque coral with brown stripes. These are set in a one loop silver plated setting. The stones measure 10x8mm. You will receive 4 pieces.